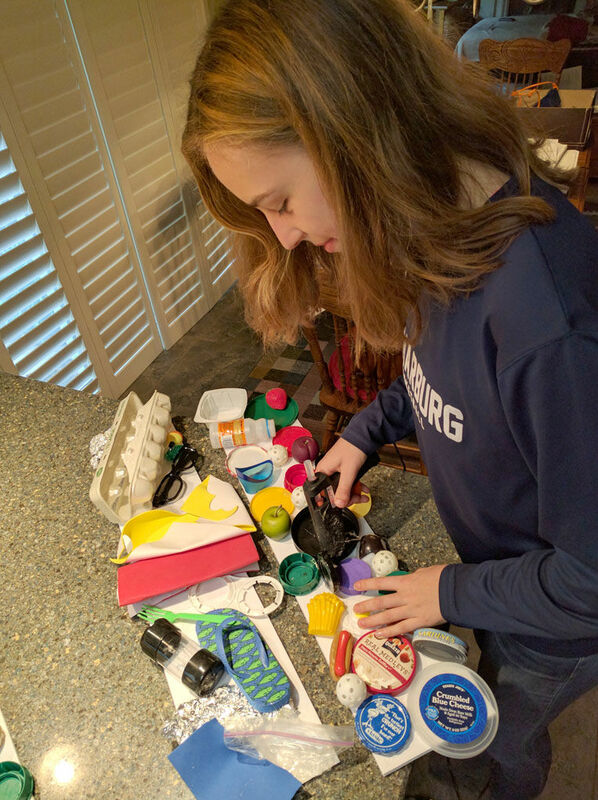 Annika Krusche, exchange student from Marburg, Germany, works on a project for the Galt Youth Commission annual art exhibit. The Galt Youth Commission (GYC) and all its exhibiting artists invite you to come and experience a thought-provoking interactive exhibit and interpretive centers this Friday, April 20 from 5 – 8 p.m. at the Littleton Community Center. Admission is free and open to everyone – families of all ages, interests and backgrounds. Last summer, members of the Galt Youth Commission (GYC) attended the Youth Sports and Climate Summit as a part of the 2017 Green Sports Alliance held at Golden One Stadium in Sacramento. During this visit, the youth commissioners came to realize the great impact we all have on our planet and how humans, young and old, can change the consequences of environmental degradation. As the GYC was selecting a theme for this year’s Teen Art Exhibit, all of the commissioners agreed that by sharing the lessons they learned and involving our whole community, elementary to high school and those long out of high school, maybe they could effect change in Galt to make it a better, healthier place. Led by Celio Gonzalez, a first year GYC member, commissioners have been creating and collecting submissions from schools and students – some from groups and some from individuals. From robots to flying jellyfish to virtual reality, each piece has been developed to help the community and its youth think about the choices they make and alter their behavior to improve the condition we live in.